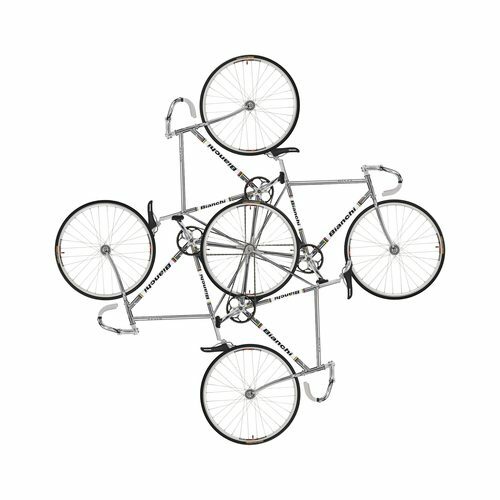 Running from May 8th to August 22nd and coinciding with the Giro d’Italia, Mediamatic will be organizing an exhibition about Urban Bike Culture in Amsterdam. Check out the press-release below. March 30th, 2010 – In the context of the Giro d’Italia, Mediamatic organizes Sur Place, an exhibition about fixed gear subculture that will run from May 8th to August 22nd. Fixed gear bikes or Fixies are without gears and can take you from A to B at killer speed, on the track as well as on the road. Bike messengers long ago embraced this stripped-down bicycle, and in recent years young creatives are increasingly attracted by their beauty and speed. Enthusiasts design their own Fixie and play bike polo in deserted parking lots. The Sur Place exhibition offers insight into the fast growing urban subculture but also pays hommage to the origins of fixed gears. The opening on the 8th of May coincides with the start of the Giro d’Italia in Amsterdam. The exhibition is staged as a big indoor track. In addition to a collection of rare fixed gear bikes, there are objects, movies, documentaries and multimedia installations portraying the passion and sense of freedom shared by riders. Visitors can bike through the exhibition space, compete in a roller racing and build their own fixed bikes in do-it-yourself workshops. We offer a bike film festival the opening weekend and a continuation of workshops and salons throughout the exhibitions duration. Sur Place is open from May 8th to August 22nd, 2010, at Mediamatic Bank, Vijzelstraat 68 in Amsterdam. Opening hours Mo – Fri 13.00 – 19.00, Sa – Su 13.00 – 18.00.